Port-owned streets and lots will have metered parking as early as June 15. HOOD RIVER, OR – The Port of Hood River will implement paid parking on Port-owned streets and parking lots this month beginning as early as Friday, June 15. Payment kiosks are being installed in various locations on North 1st Street, and on Portway Avenue from 2nd Street east and from 8th Street west to the Hook. Payment will be required in these areas between 9:00 a.m. and 8:00 p.m. all days. Parking in these areas will be prohibited between the hours of 11:00 p.m. and 6:00 a.m.
Once paving is complete in the parking lot located west of the Jensen Building, the western half of that parking lot will also be metered public parking. The eastern half of the lot is tenant and employee parking only for businesses in the Jensen Building. Season pass holders may use their pass to park all day in the Event Site Lot, the Jensen Beach Lot, and in the overflow parking area at Lot #1 whenever it is opened. City-owned streets North 2nd Street, North 8th Street, and the center blocks of Portway Avenue between those streets will remain free to park. Metered parking in these high-demand areas of the waterfront is meant to improve turnover at specific locations, encourage off-street parking for longer visits, and generate new revenue for the ongoing maintenance, operation, and upgrades to Port-owned waterfront parks and open spaces. Signs featuring the slogan, “Park for Parks” will convey this message at the entrances to each pay to park area. The Port parking system differs from the City of Hood River’s meter system downtown in two ways. First, the Port payment kiosks will not accept cash or coin for payment. Payment can be made with debit or credit card only at the kiosks, or with the “Way to Park” mobile app. A free download of the GIS supported “Way to Park” app enables users to avoid going to the kiosks altogether. The app can be set up to send alerts to a user’s Android or iOS phone when parking time is about to run out and can provide the option to add time from the phone. Second, users will not need to print and display a paid meter receipt on their vehicle, as payment is registered by the vehicle license plate, a system known as “Pay by Plate.” Users will input their vehicle license plate number into the kiosk or the “Way to Park” app when prompted. Enforcement personnel will use handheld devices to scan the vehicle plate number to check for payment. The final rate and fee schedule was approved by the Port Commission on Tuesday, June 5 with hourly rates ranging from $1.00 to $1.75 per hour depending on location. 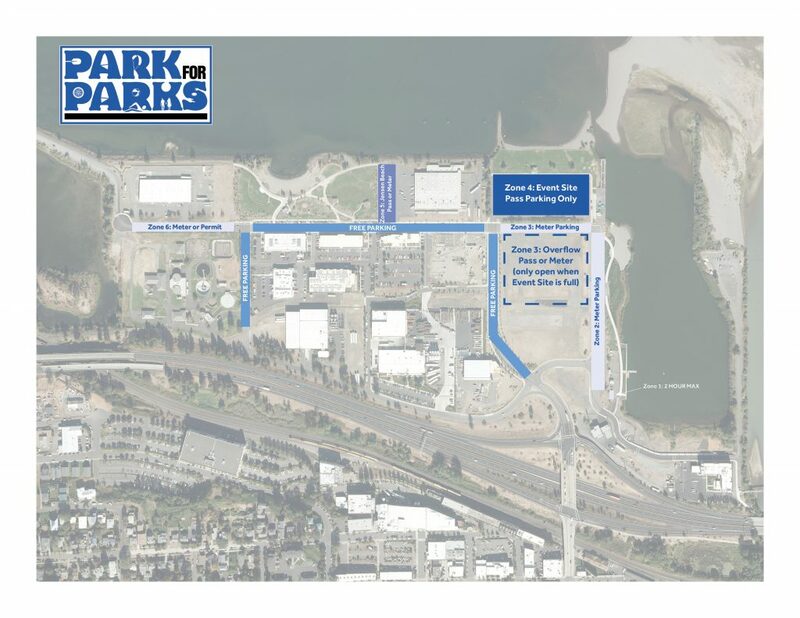 The full rate schedule is available on the Port’s website at https://portofhoodriver.com/waterfront-recreation/waterfront-parking/. For more information, contact the Port of Hood River via email to porthr@gorge.net.